Blooms Taxonomy shows that creating is the highest level of thinking. 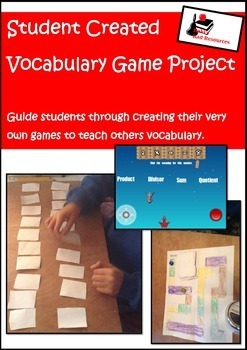 If students are able to create a game about vocabulary words, they are demonstrating their understanding by using the highest level of thinking. In addition, creating vocabulary games allows students to show their thinking to others, by allowing them to be the teacher. Students can create videos with paper cards and game boards or online methods like aps that create video games - suggestions are included in this resource. This resource provides you with detailed suggestions and links to resources. 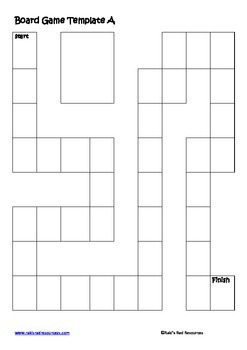 It also includes planning and evaluating sheets and game board and card templates. 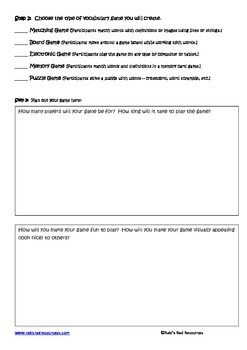 Students can use these sheets to brainstorm and plan for each game they create, on any topic. After creating the game, they can use this sheet to have a peer evaluate their work, perform a self evaluation of their work and be evaluated by you. Students can use this sheet to create games for vocabulary on any variety of math, grammar, science, social studies, or literature topics. This can be used with a large variety of grade levels. In my class, I have used it with grades 2 - 5 (UK Years 3 - 6), but it could easily be beneficial with middle school students as well. See exactly what you're receiving when you download this file, by clicking on the green PREVIEW button. The vocabulary games make a wonderful addition to student created online portfolios and work well with my student tutorial videos project .